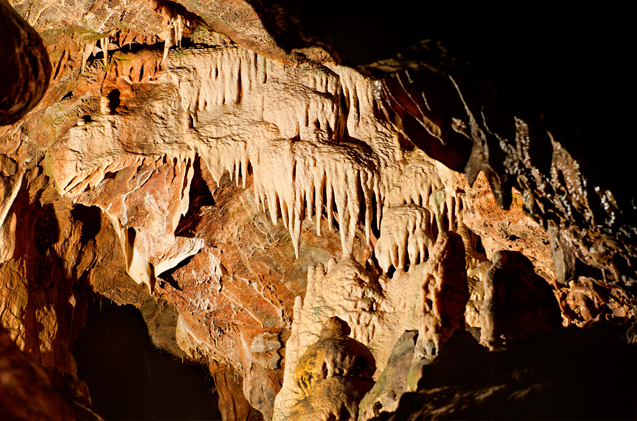 Interested in our amazing 1km cave system? 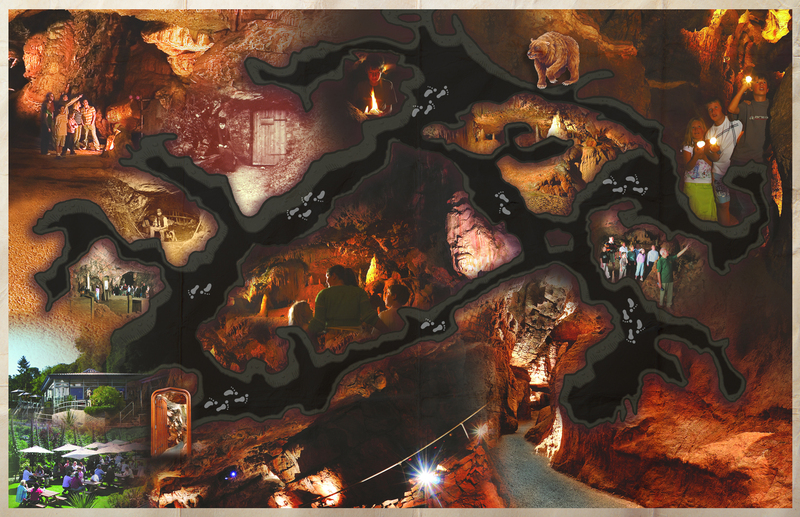 Below is an overview of our caves with a few highlighted points, scroll left and right through the featured areas below the map and watch the orange dot make its way through the caves! 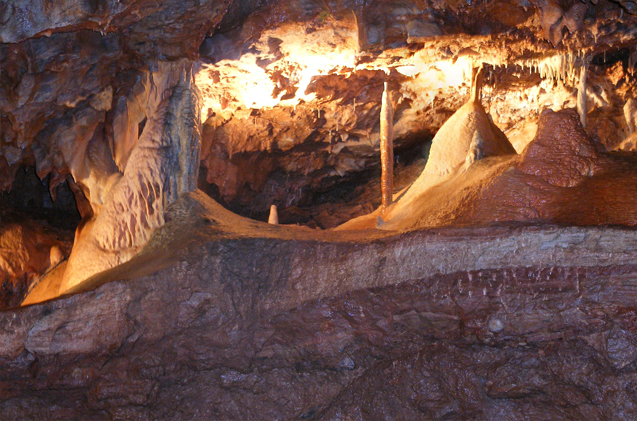 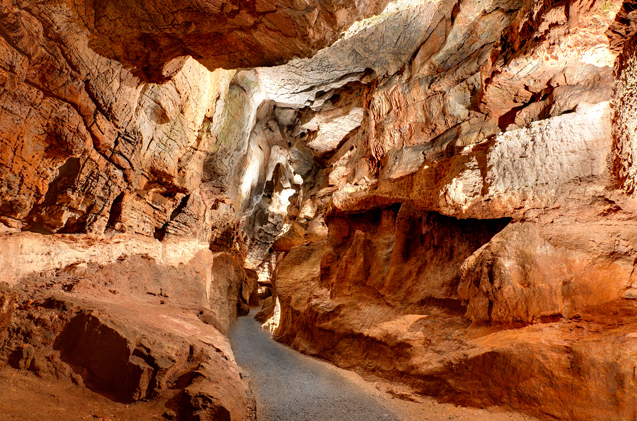 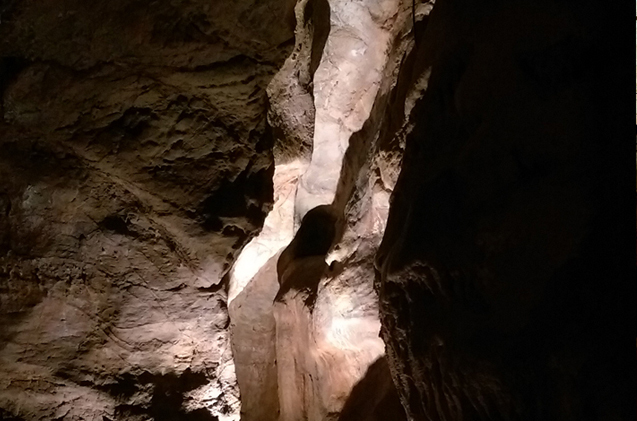 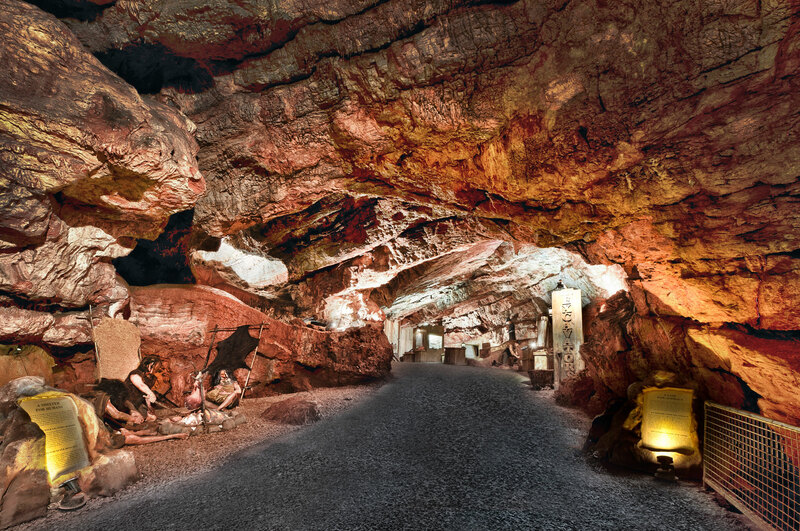 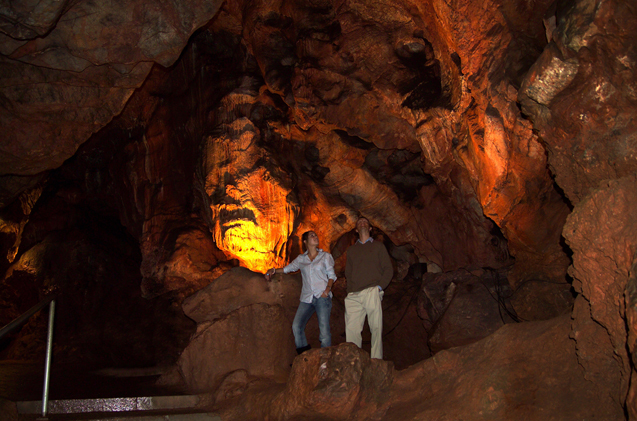 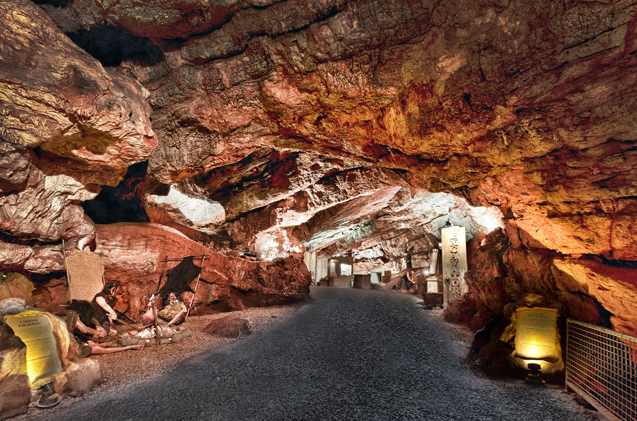 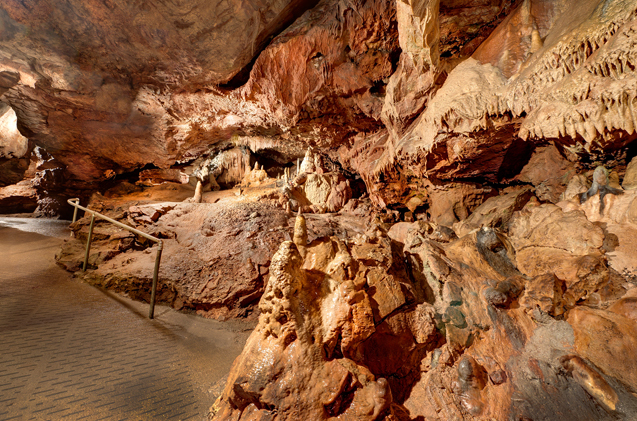 Off the beaten track, this chamber boasts huge stalagmite and stalactite formations… take a peek! 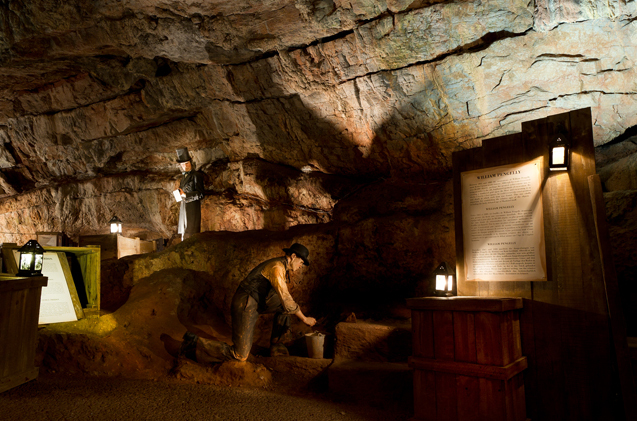 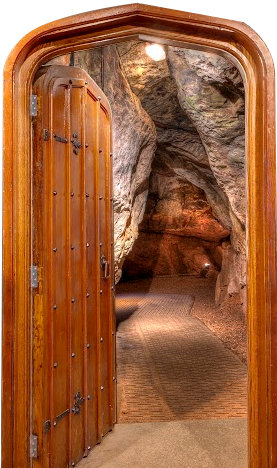 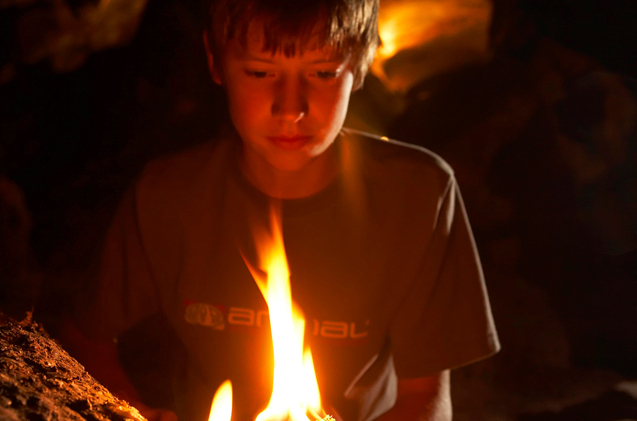 Witness the famous Kents Cavern blackout, in the ancient Bears Den! 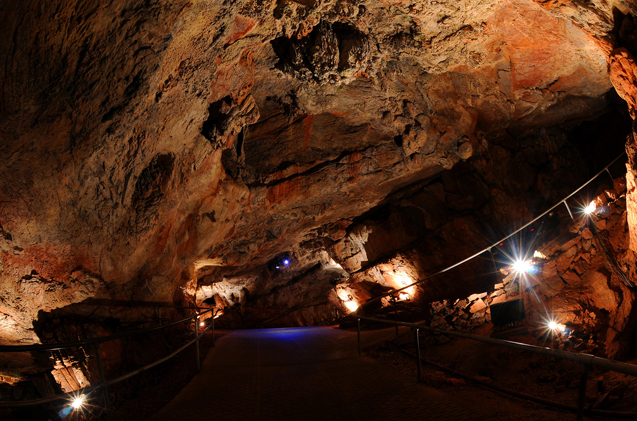 The start of our largest cave chamber, make sure your peer down into the hyena pit!